A Gustatory Delight at Seven Corners | To Be, To Be. Tutubi. Last Tuesday, I and 9 of my office mates went to lunch. 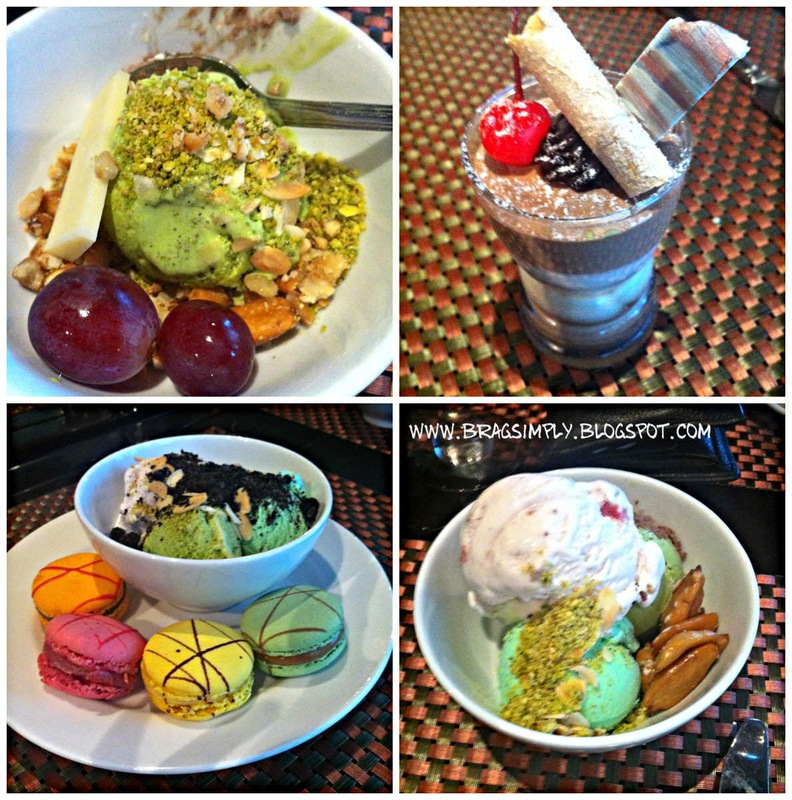 Since we love eating and dieting (usually at the same time) and because BDO was having a promo, we chose Seven Corners in Crowne Plaza in Ortigas. 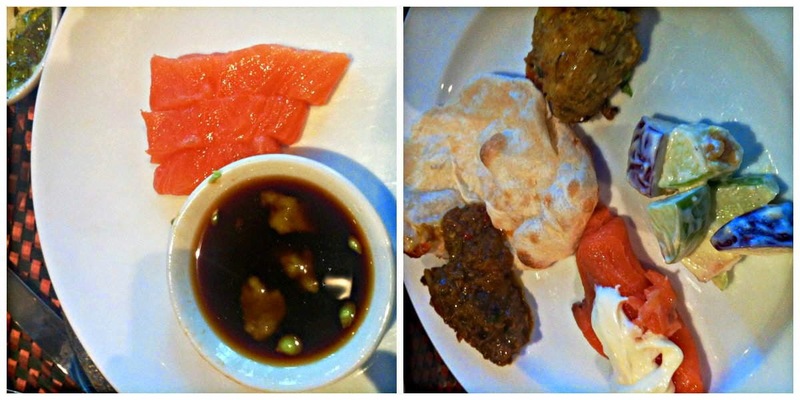 For the 50% discounted price of P828.70, below are the gustatory delights that I enjoyed, in plate order. 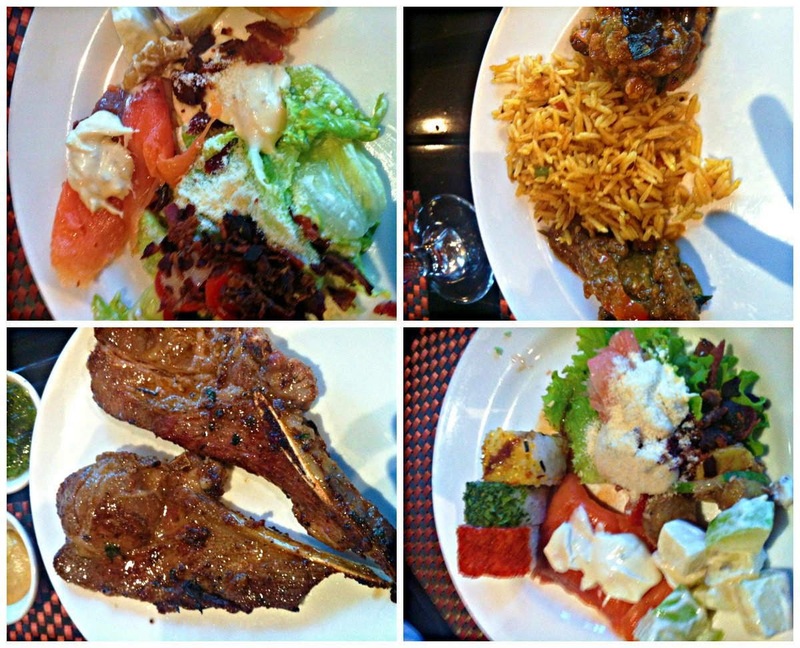 We were there to open the buffet since the hotel was just beside our building.We headed straight for the appetizers, put down our plate and went to have some lamb chops grilled medium. While it was cooking, I went to get some biryani rice and this beef dish (I forgot the name). With all three plates in front of me, I digged in. And I was in heaven! When the three plates were cleared, I went to the sushi station and had one of each, and some tuna. Not in the picture are about 8 pieces of shrimp that I also had grilled a little. Then I wen back some more to try and taste some dishes that looked good to my already sated palate. And then there was dessert. I had a total of 6 scoops of ice cream, and the avocado was the best. The chocolate mousse only looked good, but I didn't finish it. The macaroons was too sweet, and yeah, I was nibbling on some cheese as well. So, was it worth it? Oh yeah! This was not the first time since I love Seven Corners (especially when free, hehehe). And I know I will eat here again soon!